Timesheets are the life blood of your business. Time must be entered as it happens, or else it can be forgotten – and left un-billed forever. So it is essential that each staff member have an easy way to enter time (and associated time-sheet notes). And then an easy way to track and review their entries for accuracy and completion. WorkflowMax offers multiple choices when it comes to time entry. Or an administrator (with the correct privileges) can enter time on behalf of any other staff member. Once the time has been entered, WorkflowMax’s comprehensive and flexible time-sheet reporting means that it is quick and easy for staff to regularly review and check their time-sheets, and make sure that associated notes, are accurate. complete and ready for billing. The Work in Progress screen gives an immediate and comprehensive view of the status of your current work in progress. 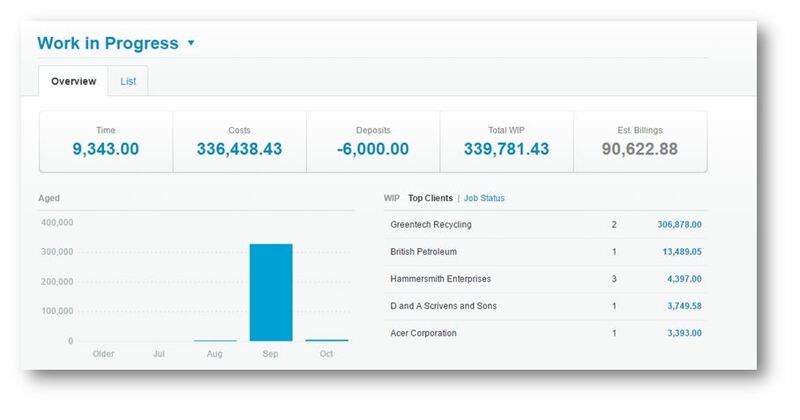 View WIP by Clients, Job Status, Age or Individual Matter. Invoice directly from the Work in Progress screen, from the Invoice Manager, or directly from the Financial tab of the individual matter. And/or select from a wide range of pre-built sample Work-In-Progress reports. 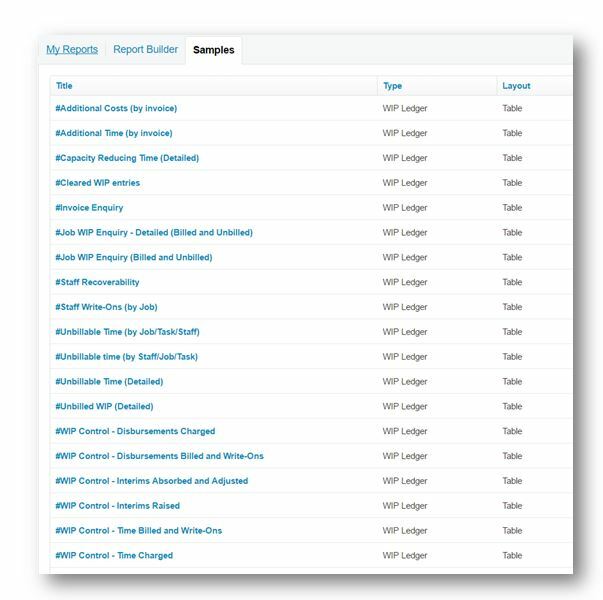 Or build your own customised Work-In-Progress reports from the Report Builder.